Most of us dream of winning one of the big jackpots while we’re playing online, but what actually happens to those who manage to get lucky? Understandably, some prefer to remain anonymous. In 2009, a 36-year-old Greek man secured a win of £5.1 million on one of the bingo sites, but as he was only ever referred to as Georgios M in the news, no one has been able to track what happened to him after that. Other winners, however, have been more willing to share their experiences. These seven stories reveal an astonishing mix of fortunes, with some using the cash to change their lives dramatically while others simply fritter it all away. 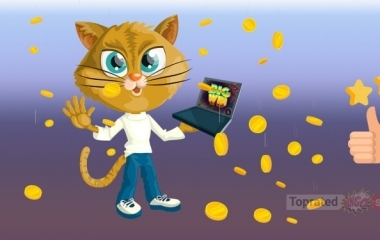 In December 2012, John Orchard won the top prize at an online bingo website and became the largest jackpot winner ever. The father of three bet 30p on one of the slot games and secured £5.9 million in return. Sixty-year old John had been expecting to continue in his role at the Jobcentre for another five years, but with the cash already sitting in his account, he decided to retire immediately. After buying his daughter a new house, he traded in his Renault Clio and treated himself to a £40,000 Jaguar XF. The couple also decided to visit their great granddaughter in Canada. One of the highest jackpot wins in recorded history went to a 33-year-old housewife from Witney. 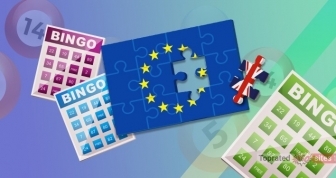 In June 2012, Lisa Potter grew tired of her husband watching the footie on the TV and decided to entertain herself with a little online bingo. One of the rollover slots on the website caught her eye and so she duly placed her £5 wager. On only her second spin, she won the top prize, which had reached a staggering £1.3 million. To celebrate, the mum of three took the family on a luxury holiday, and she then invested the remainder of her winnings for the future. Stephen Milnes, a divorced dad of two, won £265,000 in March 2016. Just days after he’d lost his job, the 48-year old placed a £3 bet on the Major Millions Game at one of the online bingo sites, and his luck came in. He took his son on holiday and bought a car for his parents with his winnings, but after that, things went downhill. In an attempt to win some more cash, the Workington man shut himself away in his flat and gambled on the slots. Inevitably, this led to him chasing his losses, and six months later, he was overdrawn and broke. Mandy Bowman from Moray in Scotland bagged a £1.2 million win in November 2016. The 45-year old had already won £400 on the online bingo site before she decided to switch to the progressive slot, Major Millions. She was down to the last £3 of this prize fund when all the symbols lined up on the reels, and the big jackpot was hers. Sadly, the busy farmer’s wife had no time to jet off on a celebratory holiday. Instead, she spent her winnings on upgrading the buildings and the machinery at the farm, and then moved onto plans of opening an indoor riding school. Anne Marie Ferrar spent just 15p at one of the online bingo sites in February 2015 and gained a mind-blowing £3.4 million. The single mum had placed her bet on Millionaire Genie, one of the progressive slot games on the Dragonfish network, and her luck came in when she won the jackpot. After her big win, the mum of 2 took her sons to Disneyland. She then bought a 3-bed semi in Halifax for a very reasonable £150,000. In a bid to stay grounded, as soon as all the excitement had died down, she went back to her regular job in a local café. Christine Johnson had always enjoyed the community atmosphere in the chat rooms on the bingo sites, and so when she found herself unable to sleep in June 2016, she went downstairs to have a little flutter. The chiropodist from Wales had been playing the progressive slot game, Chests of Plenty, for around 20 minutes when a winning message popped up on the screen. At first, the prize award being shown was £300,000, but the jackpot figure kept increasing until it had reached an unbelievable £1.3 million. The mum of three and grandmother of four celebrated her big win with her husband and her family. 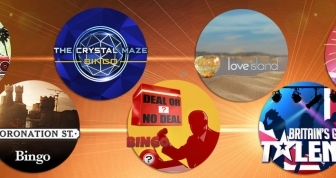 So far, all of our remarkable winners have been successful on the slots, albeit on one of the bingo sites. In May 2012 though, Gill O from Nottingham hit the progressive jackpot in the Bejewelled Bingo room. The lucky lady pocketed a record-breaking £510,049.26, having paid just 25p for her ticket. As a special reward for her success, she received a congratulatory phone call from Barbara Windsor. The beauty of playing online is the anonymity that it affords, and Gill has been able to retain her privacy. However, she is believed to have spent her winnings on her family and on a new house. 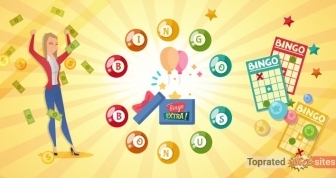 Could You Be the Next One in the Bingo Winners Hall of Fame? It’s what we’re all asking ourselves, isn’t it? The dream of winning millions is the reason that most of us play online. After all, who wouldn’t want to be presented with a life-changing sum of money? However, securing one of the larger bingo prizes is only the start of the journey. The real adventure comes in deciding what to do with the bounty. Although the majority of winners choose to spend it on cars, holidays, and houses, there are others – and some would think that these are the more sensible ones – who stash it away as investment for the future. It is often said that the chances of landing one of the big jackpots is miniscule, but as these stories prove, sometimes luck is on your side! Do Any Bingo Superstitions Actually Work?